Home » Pepipost’s Sandbox is here! Email is one of the most essential channels of customer communication in digital marketing. From enewsletters to transaction notifications, emails are critical and required for customer engagement. An entrepreneur might be confused on their email choices since it is so important. Which ESP should you use? Who do you trust with such an important part of your customer relationships which will directly affect your business? 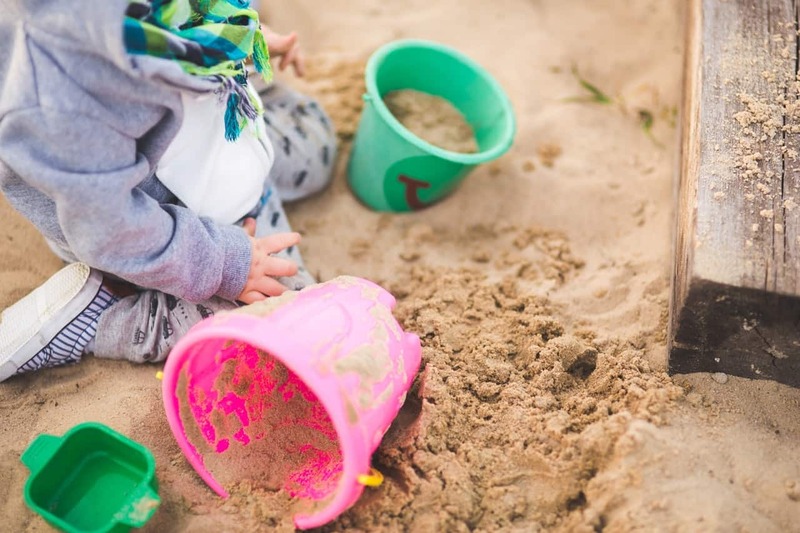 What is an email Sandbox? Sandbox is a testing environment used for testing Pepipost’s services and features. You can see for yourself what we offer before committing to us. Imagine you decide to buy a car. The first step you do is research: you look at the models in your budget, the features you want and whether the dealer is trustworthy. You go for a test drive and get a feel of what the car can do. Only then do you choose the details like color, interior and entertainment systems. Sandbox is the test drive in your ESP shopping journey. You can test what we offer, look at our features for yourself. Then you can decide to continue on your Pepipost journey. And the best part? You can get started with your Sandbox journey in 100 seconds!!! What does the Sandbox actually do ? 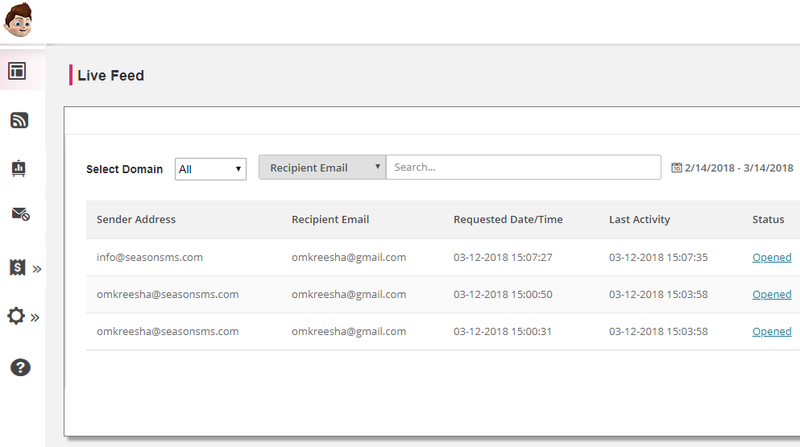 A Sandbox allows you to test emails through both SMTP and API based on your preferences. You can get a real time live feed on the emails you send. You’ll view an analytics graph showing the status of your emails vs the number of emails sent. Plus. 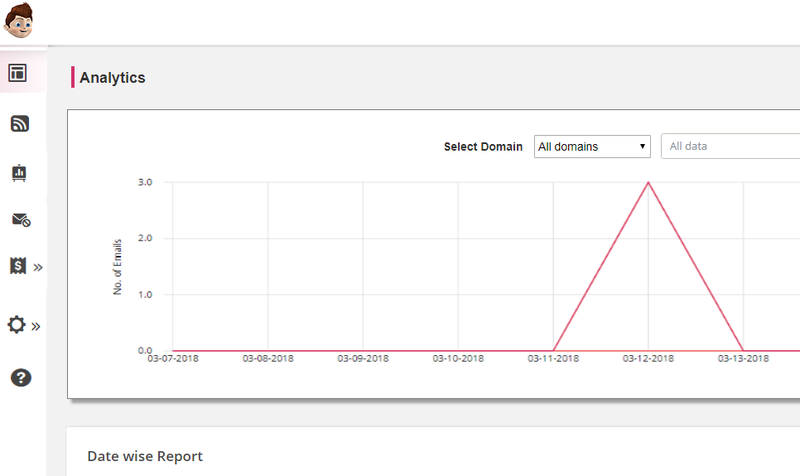 a suppression feature which shows the emails or domains which have been suppressed. You can also test for yourself whether SMTP or API is better suited for your needs. Sandbox gives you a complete Pepi experience. You can also do a “scale test” to analyze whether the bulk of your email can be handled by us. A scale test sends bulk emails to a dummy server and shows you the status of these emails. This provides the confidence you need on the way your bulk emails will be handled. How do I get started with Sandbox? 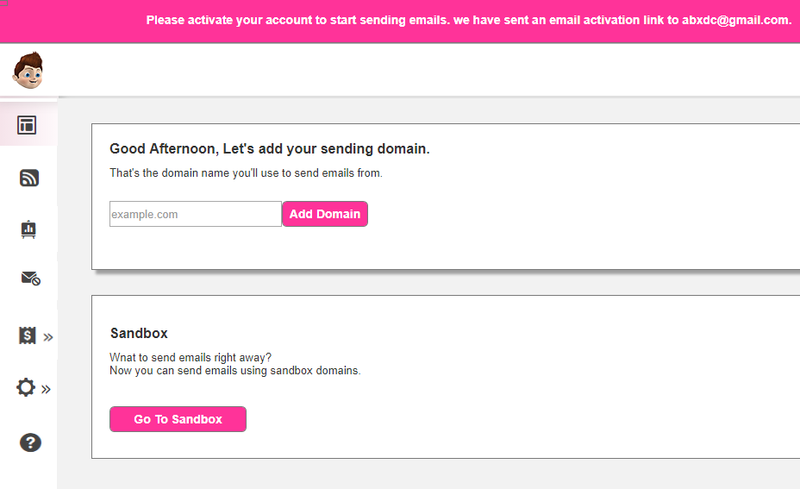 Activate your account and add your sending domain later on. You can complete the activation of your account and enter your details after you are convinced that Pepipost is indeed the right choice for you. Get started in 100 seconds?? It’s absolutely true!! We do not expect you to go through every step of signing up and giving out your domain details even before you get to know our product. So even before you activate your account, you can do a Sandbox test and check out our service for yourself. You can complete the sign up process after you finish your testing and decide to continue with Pepipost. NOTE: We are the only ESP to provide a Sandbox test before asking you to complete your ‘Sign In ’ process. Anyone and everyone can do a Sandbox testing for absolutely no charge. You wouldn’t want to pay for your test drive, would you? Also the number of emails you send during a Sandbox test does not affect or reduce the number of emails you can send free (30,000) . You can have the Pepi experience for yourself and then decide to do live configuration updates on your sending domain. That’s the part you choose the color of your car and whether or not you want leather seat covers. Also, refer to our pricing plans to find the right plan for you that suits you best. You saw, you experienced, you loved!! What next? Click on the activation link provided to you by email and complete the verification and activation process. Enter your Domain name and details and you are set. You can immediately start sending out emails and enjoy the full ‘Pepi’ experience. Why let some ESP you don’t trust handle your emails? Building relationships based on trust is one of our primary principles and Sandbox is a step in that process. Experience our services for yourself, and only then decide to trust us.